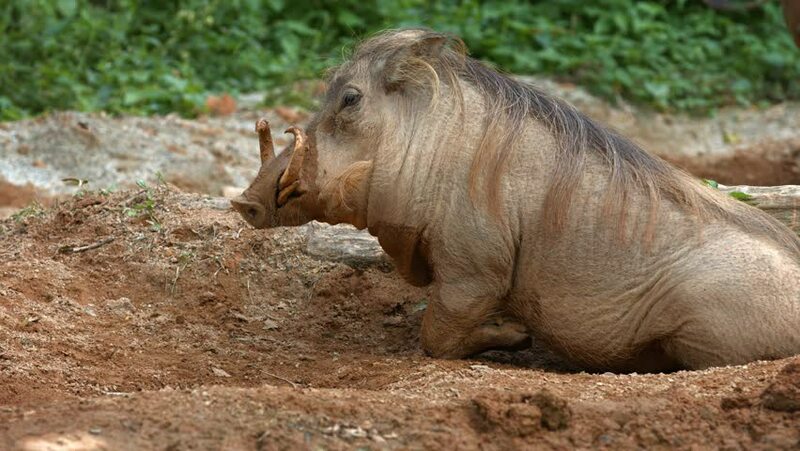 Adult desert warthog. with tusks and wiry hair. relaxing in the mud in his habitat enclosure at a popular. public zoo. 4k00:07An adult male lion lays in the sun, head facing right. It moves its head slightly, and its tail wags. hd00:17Grizzly bear walking and eating through a large open field. Medium shot.